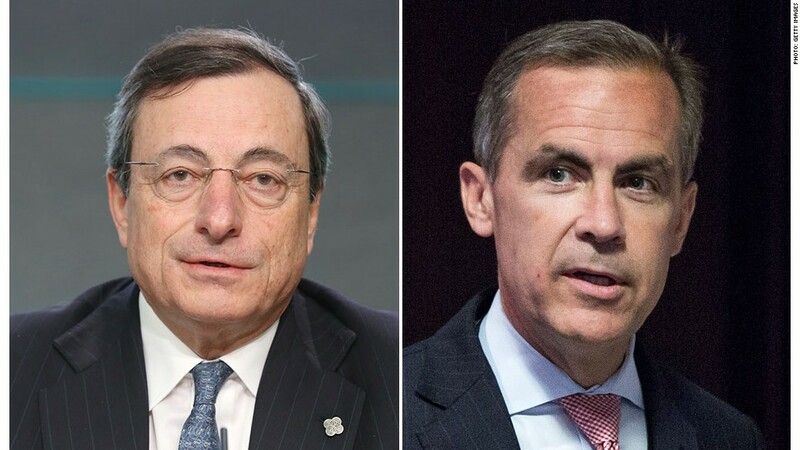 The heads of each of the central banks -- Mario Draghi and Mark Carney -- are moving towards issuing more forward guidance. The European Central Bank and the Bank of England left their benchmark interest rates unchanged Thursday, while both move towards issuing more Fed-style guidance on future policy plans. The ECB kept its benchmark interest rate at a record low of 0.5%. ECB president Mario Draghi reiterated during a press conference that rates would remain at current levels, or lower, "for an extended period of time." 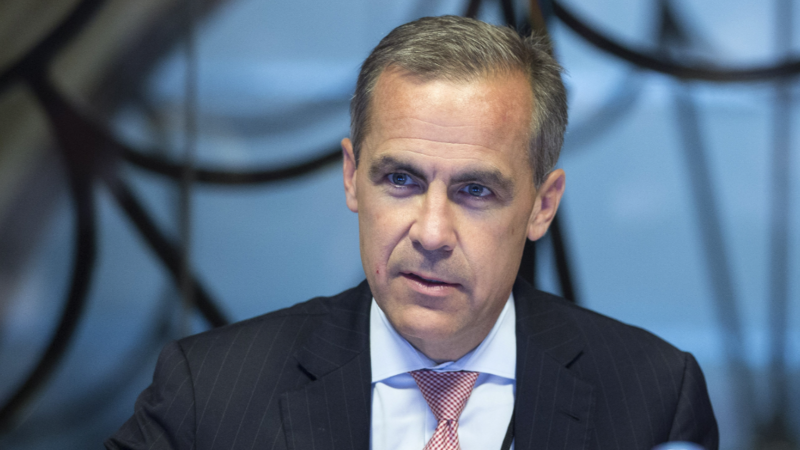 Separately, the BoE said it would also stay the course with its monetary policy, leaving interest rates at a record low of 0.5%, and keeping its asset purchase program unchanged at £375 billion. In a significant break with tradition, both central banks gave investors more insight into future policy moves last month, and investors were keen to hear more. The BoE said it would release more information next week about its plans for providing forward guidance. "Looking ahead, we expect forward guidance on interest rates to be introduced in the near future along with scenario analysis to explain how the Bank of England would react if the economy was to surprise significantly on the upside or downside," said Azad Zangana, a European economist at Schroders in London. Investors were also intrigued by the possibility that the ECB might start releasing minutes from its policy-setting meetings, much like the Federal Reserve. While Draghi said a proposal about releasing minutes would be considered this fall, there were concerns that the information could have a negative impact on individual members of the ECB's governing council. Draghi explained that ECB members had to act in the best interest of the eurozone as a whole. If minutes showed members were not necessarily acting in the best interest of their home countries, that could hurt their credibility back home, he said. The rate announcements come as a slew of new economic data point to stabilization in the recession-hit eurozone economy and accelerating growth in the U.K. The latest purchasing managers' index from Markit Economics showed a sharp increase in U.K. manufacturing in July, with the index hitting a 28-month high. That marks the fifth consecutive month of improvement. "This survey was important ... because it suggests that the manufacturing sector in the U.K. -- about 10% of GDP -- continues to gather pace," said Kathleen Brooks, research director at FOREX.com. Meanwhile, Markit's purchasing managers' index for the eurozone came in at a two-year high in July. While that wasn't as strong as in the U.K., it continues to show the region is stabilizing. "These readings confirm our view that the worst is now behind us in terms of economic activity in the eurozone," said London-based Ricardo Santos, an economist at BNP Paribas.